The bridge cranes are types of crane that allow to elevate heavy loads, which are specially used in the industry. 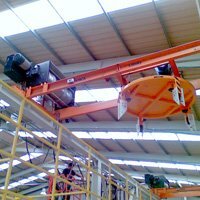 They are very useful in horizontal or vertical displacements where the load is heavier, large or uncomfortable, and can not be moved through other lifting equipments, like an elevator or a lift table. There are many different types of bridge cranes. 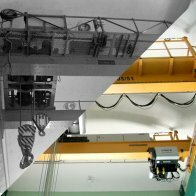 In Vinca we offer two different solutions: the single girder bridge crane, specially designed for buildings not very wide, where all the building height needs to be used. 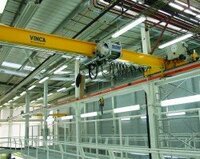 However, the double girder bridge crane is adapted for great loads that require much power, precision and security. Our company designs, installs and offers maintenance service for all type of bridge cranes. 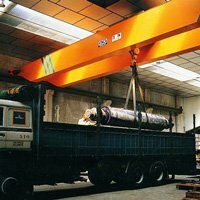 Contact with our specialists if you need more information about these and other lifting equipments. 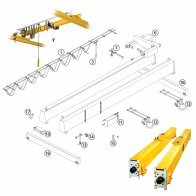 All the bridge cranes have one year of warranty.